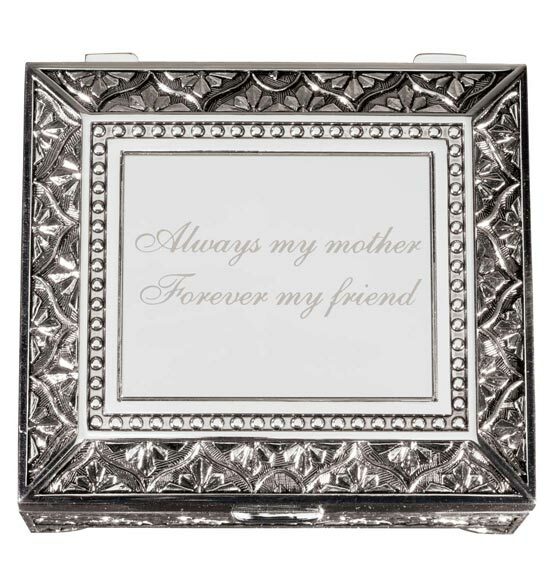 Let someone know you care about her dearly with this charming personalized Antique Rectangular Keepsake Box. 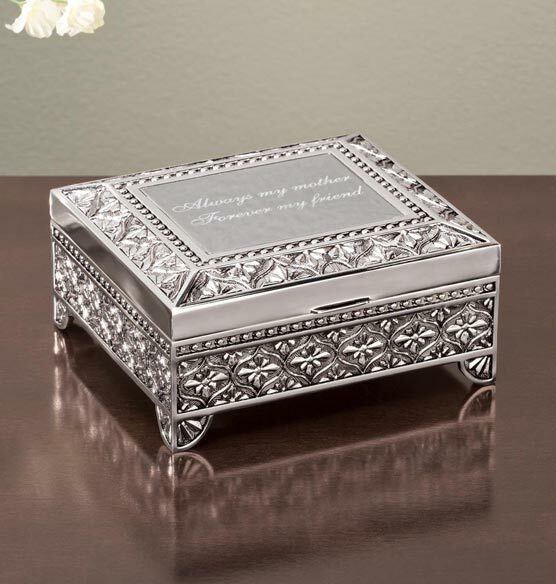 Designed for anyone who enjoys personalized jewelry boxes , this silver box is crafted of fine metal and features ornate decorative touches reminiscent of the Victorian era. 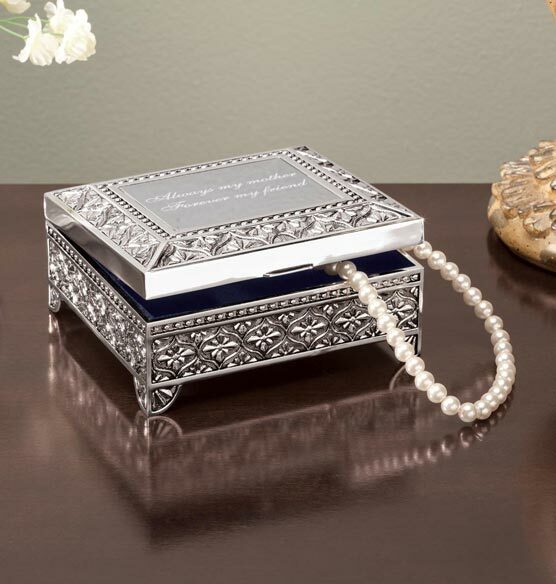 A soft blue interior protects valuables. 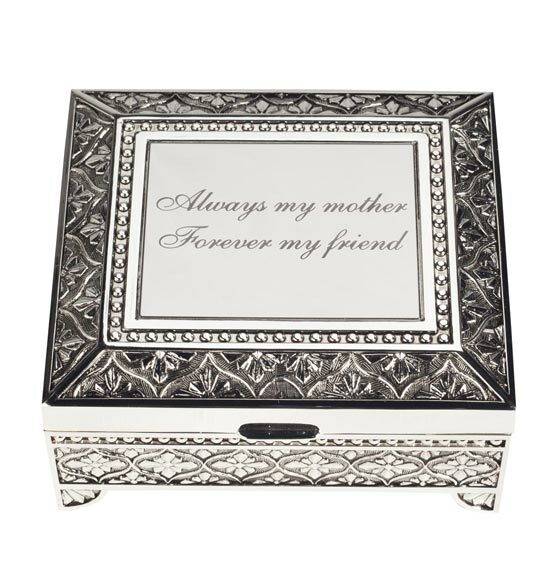 Your personalized message is beautifully inscribed on the lid of the personalized gift. sweet she will love it! !